High humidity can be quiet problematic for workers as well as employers in an office. 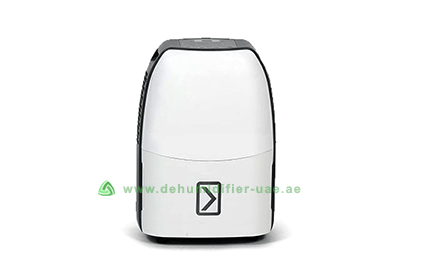 Vacker UAE provides different models of Office Dehumidifier for offices as well as homes. We have loads of experience supplying Office Dehumidifier in different offices of Dubai. We also supply our products in other parts of UAE region such as Abu Dhabi, Ajman, Dubai, Fujairah, Ras al-Khaimah, Sharjah, and Umm al-Quwain. High humidity in a living space results in increased hotness. This can significantly decrease the productivity of the workers. Due to constant dampness and stickiness a feeling of irritation develops in the worker. Hence, to ensure a good and comfortable environment, Dehumidifiers should be installed in offices. There are different important files stored in offices. High humidity can damage these important files also. A dehumidifier protects these files from high humidity. Humidity also helps in formation of molds on the walls of the offices. This also results in bad odor in the atmosphere. Vacker UAE’s Dehumidifiers help you get rid of all these problems. There are various factors that you need to take into consideration before you install a dehumidifier in your office. The first thing to look out for is the size of the office. Also, the temperature and humidity level of the office should be measured as it also helps in choosing the right kind of dehumidifier. The customer also should be aware of the warranty given in the dehumidifier. Customer also should have a thorough look at the user manual of the dehumidifier which helps in using dehumidifier with optimum efficiency. One of the most entrusted Portable Dehumidifier by our company Vacker UAE’s clients is the Model TTK 40E. It comes with many handy features and is very easy to maintain. It can work in different environments with different levels of temperature and humidity. It has the capability to dehumidify as much as 20 liter of water in a day. It can work in extreme humid conditions with humidity ranging from 30% to 80% RH. It requires electricity voltage of 230V at 50HZ for its operation.